I have lifted this bodily from Next Big Future. I achieving it - the possibility of getting a working fusion device - would be wonderful. Odds are it will take longer and cost more, as such things do but even if that were so any slight shortening of the period to till humanity has unlimited power is worthwhile. So I ask you to make a small investment as advised in the ######### section. I consider copying NBF as a better way to use my photons here than an original article I would write. Crowdfunding looks like a way those of us committed to human progress can bypass the parasitism of political pressure. I will have to look into it further but trying to get policitcal organisations, even the most sensible of them, to put even a tiny fraction of the money they take "to fund things that can only be funded by government" has not, so far, been very successful. 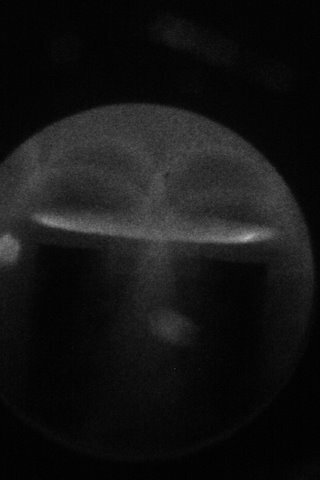 Scientists at LPP Fusion, led by Chief Scientist Eric Lerner, are just one step away from technically proving out dense plasma focus fusion and you a few thousand other people can help for the final push. They are already 63% of the way to the $200,000 they needed for a few key experiments with 19 days to go in the crowdfunding effort. 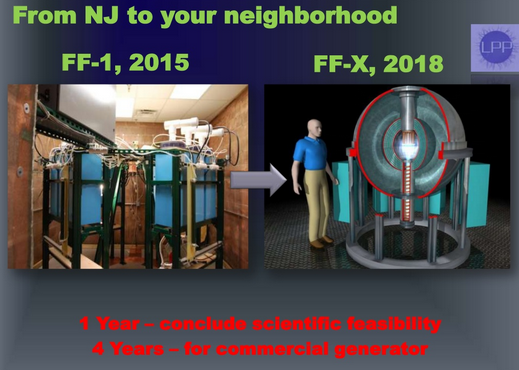 Lawrenceville Plasma Physics has thanked Nextbigfuture.com and the Nextbigfuture community. The Nextbigfuture community have been early contributors to this key energy project and we have helped to get the word out on social media. If this project is successfully fully funded and then leads to a successful experiment, then Nextbigfuture and the Nextbigfuture community will have been a significant part of creating a better future for space technology and energy. LPP needs about 4000 more people to donate on average about $25 each or fewer people with larger average donations. The Battle of Thermopylae was fought between an alliance of Greek city-states, led by King Leonidas of Sparta, and the Persian Empire of Xerxes I over the course of three days, during the second Persian invasion of Greece. It changed the course of history. It is remembered for the 300 Spartans at the battle. However, it was a Greek force of 7000 men at the start. Later the bulk of the Greek army was dismissed and 300 Spartans, 700 Thespians, 400 Thebans and perhaps a few hundred others, most of whom were killed fought to the end. They died making history but you can help make the future for a few dollars. You can rent two movies from Redbox instead of going to the theater and donate the savings. Switch out of cable or satellite television and use Netflix and a HDTV antenna. Use voice over internet phone services like OOMA or only use a mobile phone and no landline. This is a nuclear fusion project where a bit of public funding will have a huge impact. 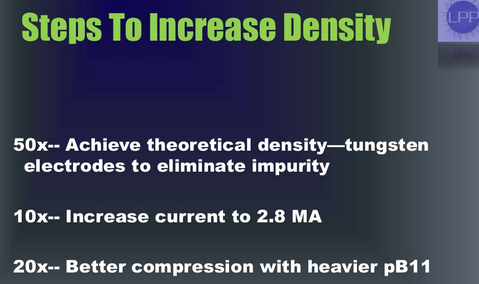 It is ten thousand times cheaper than the International Tokamak project. ITER costs billions and will still require decades and two more projects to possibly get to a commercial fusion reactor and those fusion reactors will be about fifteen story tall buildings the size of a football stadium. This project could be proven for about $1-5 million with critical components and testing helped by another $127,000. 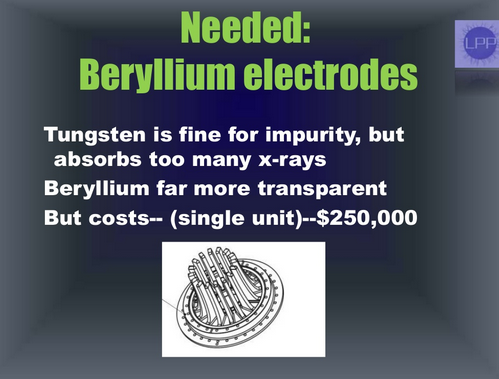 LPP needs to get their Tungsten electrode and then later switch to a berrylium electrode. If successful with their research and then commercialization they will achieve commercial nuclear fusion at the cost of $400,000-1 million for a 5 megawatt generator that would produce power for about 0.3 cents per kwh instead of 6 cents per kwh for coal and natural gas. This can lead to commercial energy that is twenty times cheaper than natural gas or coal Last night coal mining killed another 238 274 people. Energy that is twenty times cheaper will provide a massive pollution-free boost to the global economy. Instead of global 3% growth with not enough jobs it will mean 5+% growth for 60 years or more at least. SuperCheap energy also means cheap clean water. Go to this link to donate. Right - Shot 9-15-10-07, magnified plasmoid at the pinch. We see the plasmoid on axis, which is about 150 microns across. 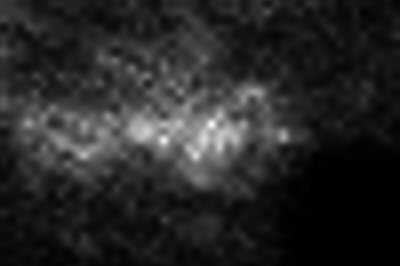 The small dots are individual pixels, and do not represent actual fluctuations in intensity. LPP’s mission is the development of a new environmentally safe, clean, cheap and unlimited energy source based on hydrogen-boron fusion and the dense plasma focus device, a combination we call Focus Fusion. This work was initially funded by NASA’s Jet Propulsion Laboratory and is now backed by over forty private investors including the Abell Foundation of Baltimore. LPP’s patented technology and peer-reviewed science are guiding the design of this technology for this virtually unlimited source of clean energy that can be significantly cheaper than any other energy sources currently in use. Non-exclusive licenses to government agencies and manufacturing partners will aim to ensure rapid adoption of Focus Fusion generators as the primary source of electrical power worldwide. Very interesting news. More over that it contained very good information and that helped me lot. On the off chance that they neglected to uncover any parts of the credit you wound up taking out, you may have grounds to discredit the agreement. Get the best report writing help ireland for Ireland’s students. Just hire assignment writers of Ireland Assignment Help at a reasonable price. Our Online Assignment writers are available 24*7 for solving queries of the students. IrelandAssignmentHelp.com is providing academic writing and Buy assignments online services from past 10 years. Very informative and nice post and also great blog with pieces of information. Thanks for sharing and keep it up.